When the Bible Presbyterian denomination was formed in 1938, they consciously chose to have all of their associated agencies, schools, and mission boards established as separate, independent organizations. It was sort of like “every egg in a separate basket” — in case one work went bad, the chance of affecting the others was minimized. In 1950, Rev. Clyde Kennedy was the leading force in establishing Highland College in Pasadena, California. The former Annandale Country Club property was purchased, and Rev. Kennedy began to promote the school. Somehow the school struggled through the first two years, and by the fall of 1952, Dr. Robert G. Rayburn, recently returned from the chaplaincy in Korea, was hired as a full-time president. As more students began to enroll, things were finally looking up for the school. 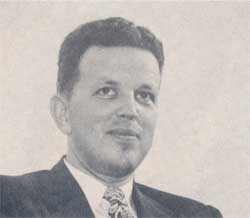 But Rayburn was a man of honor and conviction. He ran a tight ship and he expected the same of others. He became aware of improprieties in the management of the American Council of Christian Churches, another BPC-related agency. He began to speak to others in the BPC about those problems, and that in turn brought conflict with some of the denominational leaders. Eventually Dr. Rayburn lost the battle and the Trustees of Highland College dismissed both he and his registrar, Rudy Schmidt, on March 1, 1955. Half-way across the country in Iowa, the Rev. Max Belz heard about the problem. Belz was the founder of the Cono Christian School. His papers are preserved at the PCA Historical Center, and from all I’ve seen of him, he has my respect and admiration. He was a wise Christian. “Rudy called to tell me that you were no longer President of Highland College, and that he was no longer Registrar. This is most disturbing news. I am wondering if there is anything I can do to help in the situation. I know that you must be in financial straits, but that is also our situation. Letters have come in from several different directions expressing deep concern, and our people are upset. The sympathy, of course, goes to you and Rudy. Everyone who writes to me seems to expect me to take sides with you and Rudy. I do, of course, but I am not free to enter this thing with both fists swinging because, after all, I assume that the board at Highland has a right to dismiss the President and anyone else they choose to dismiss. Furthermore, I doubt if you, yourself, desire that any intra-Synod strife should come from this. “Surely now is not the time for any of us to descend to the childish device of saying ‘I’ll quit if I can’t have my way.’ I am always tempted in that direction; but I am a part of the Church, and I know I must never leave it unless it becomes an unequal yoke with unbelievers. “Perhaps you will not agree, but I think, Brother Bob, that you and Rudy and the others out at Highland are experiencing the bitter results of an error in which we are all involved. We have permitted Highland, (and others) to grow up outside the actual jurisdiction of Synod, and thus the steadying balance of the whole body is lost. I believe we must all soon face the issue as to whether we want our agencies to be independent or whether we want them to be subject to the Synod. Now, I do not have boundless confidence in our Synod, but I am committed to it in the name of Christ; and I am not committed to any other visible body, individual, or clique. I believe this bitter experience at Highland should make us all more determined than ever to build a Bible Presbyterian Church that is truly Presbyterian. “Right now I want to do anything I can to help you, and help the cause. Shall I sit still? Shall we get busy with the printing press and linotype and editorialize the Synod by mail? Shall we gird for the battle in St. Louis [site of the next Synod meeting], where it appears that we shall be forced into conflict with men we love in the Lord? Shall we conclude that they are determined to oust us, and go down into the arena with them, or shall we bide our time, commit the whole thing to the Lord, and keep a tight rein on our tongues? And so far as I can discover, that is how they conducted themselves–with honor and with love for their brothers in Christ. Regrettably the denomination split that summer in 1955, but on the positive side, Rayburn and others were able to quickly establish the school that became Covenant College. After one semester, property was located in St. Louis. 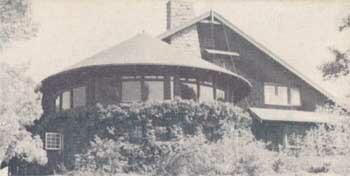 Then a year later, Covenant Theological Seminary was also established. The Rayburn/Schaeffer/Buswell side of the BPC split initially called themselves the Bible Presbyterian Church, Columbus Synod. After four years they changed the name to the Evangelical Presbyterian Church. Then in 1965, that group merged with a small denomination called the Reformed Presbyterian Church, General Synod. The denomination created in 1965 was the Reformed Presbyterian Church, Evangelical Synod (RPCES), and in 1982, the RPCES became a part of the Presbyterian Church in America. When the PCA meets annually in General Assembly, at the close of Assembly each year, we sing Psalm 133. But it wasn’t always that way. We used to follow the practice of the Church we had left. The Presbyterian Church, U.S. (aka, Southern) would sing most anything. And some of the choices were atrocious! It was only with the reception of the RPCES that we began the tradition of singing Psalm 133. It had been a tradition with the RPCES since 1965. More importantly, it had been a tradition with the Reformed Presbyterian Church, General Synod since 1833! For you see, it was in 1833 that the Reformed Presbyterian Church suffered a division, creating the Synod (today’s RPCNA) and the General Synod. In singing Psalm 133 we affirm and pray that God would preserve the unity that we have in Christ. But in our singing, there is also an element of repentance, looking back in sorrow at divisions past, praying that in the mercy and grace of Christ our Lord, that one day those divisions will surely be mended. 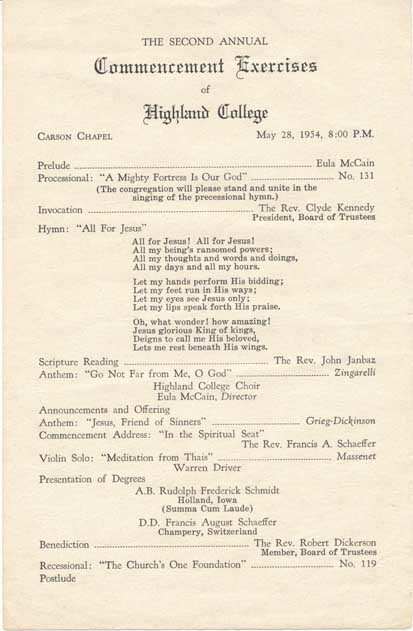 Below is an image scan of the Commencement bulletin for Highland College in May of 1954. On this occasion, the Rev. Francis Schaeffer brought the Commencement Address, titled “In the Spiritual Seat”. At that same Commencement, Highland College awarded Schaeffer the honorary Doctor of Divinity degree. Later in 1971, Gordon College presented Dr. Schaeffer with the Doctor of Laws (LL.D.) degree. Thank you for posting this, as it fills in a gap in my understanding of the evolution of the PCA and the personal history of Francis Schaeffer. I had read about controversy in the BPC while Schaeffer was in Europe, and the emergence of the EPC as a new body, but had not known the source of division. Just be careful not to confuse the Evangelical Presbyterian Church [1961-1965] with the Evangelical Presbyterian Church [1982-ongoing]. Two different groups entirely. We’ve given a bit of the history of the former. The latter EPC was formed by conservatives leaving the UPCUSA and the PCUS, prior to the merger of those two denominations in 1983. Some of those forming the EPC in 1982 were men who had not seen fit to join the PCA in 1973 and who had stayed in the PCUS, still hoping to stem the tide of modernism.